An experimental plunge into the tiled depths of this disused Edwardian swimming pool. A kaleidoscopic shoal of musicians, sound artists, orators, costumed performers, sculptures and local filmmakers performed in the pool in August 2010. 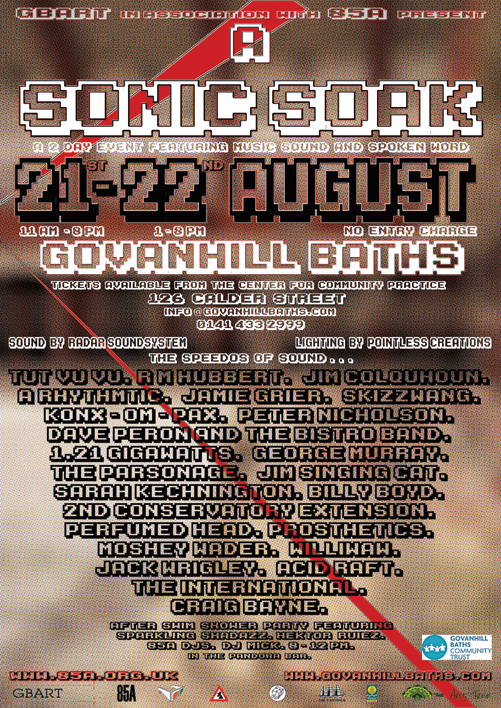 With the cavernous, echoing acoustics of the main pool in mind, a line-up of massively talented artists from the local area, wider Scotland and further a field, who, over the weekend, drenched us with their own unique audio maelstrom.